Experiencing Box Hill Central Like Never Before…. I was lucky enough to be invited by the lovely people from PR Edge to get a chance to experience the talent of former Magic Owner-chef James Tan as he hosted an exclusive tour of Victoria’s most authentic Asian fresh food market located at Box Hill Central. After the tour finished, we were treated to a tantalising 3 course meal that James cooked in front of us. I mean how can you say No right? Box Hill Central is located in Box Hill and is full of culinary hidden gems, rare ingredients and traditional treats – and it has a history. Originally this space was a market that opened in 1895 becoming a part of the shopping centre when it was developed in 1987. There are now two shopping centres located on the one site – Box Hill Central North and Box Hill Central South. Box Hill Central North was originally opened as Whitehorse Plaza but after a lack of patrons closed down in 2000. After major refurbishments it was reopened in 2003 as Centro Whitehorse, which then rebranded to Centro Box Hill North in 2007 before finally being changed to Box Hill Central North in 2013. Box Hill South (where the original Box Hill Central was located) – was built when the old railway station and level crossing was removed and has undergone refurbishments to what stands there today. The original market is now incorporated into the shopping centre but was redeveloped to what it is today. Box Hill Train station is also located here. I was a bit late (for those of you who don’t know Box Hill gets super busy – especially on a Saturday and finding a car park is almost as bad as finding a needle in a haystack!) 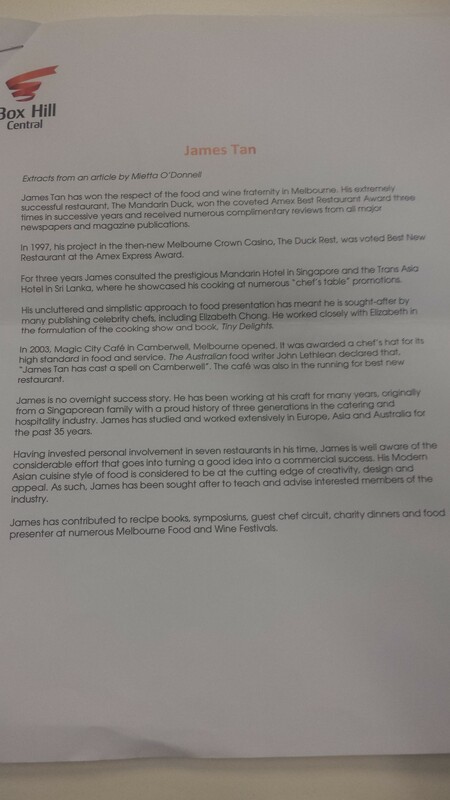 so missed the initial welcome and introductions from James, however I met up with the rest of the bloggers and James as they were getting through a talk from one of the Fresh Seafood store’s owners – Elaine from Box Hill Fish Market. Here we got to sample oysters – they were fresh, punchy and full of flavour! You can have a look at some of my pictures of the Box Hill Fish Market store – you really can see the freshness and the high quality – they sell sashimi grade products – that this store has, as well as the variety and range – they have Blue Swimmer Male Crabs! Elaine and her staff are very helpful and accommodating and mentioned that they try and cater for their clients’ needs in whichever way they can – all they have to do is ask. I really like that philosophy! Next we briefly stopped at one of James’ favourite butchers – Central Meats – who sells specialised meats and once again are very accommodating and can get you what you. Our next stop was at Food Master which provides Asian spices and herbs and dried and preserved foods – a shop with literally everything you could possible need – from Dried Figs to Lily Bulb. If you are Asian and were used to your mums or grandparents herbal home remedies – chances are that you could find the ingredients for this remedy from here. Check out the pictures for the variety! That brought us to the end of the tour and we were led back to our little area that had been decorated with bamboo fences and bamboo trees – with the table for the bloggers in the centre. There were many inquisitive questions as to what was going on and how they could be involved from passer-byers. The centre pieces were simple and brilliant – vases filled with fresh bok choy together with a basket filled with fresh veggies such as carrots, eggplants and mushrooms. James had his setup at the top end of our table so we could watch as he prepared our three course meal. Whilst James starting cooking the first dish we were given 100% natural Coconut Water from Raw C. James told us that he wanted to source fresh coconuts for us however he couldn’t find the ideal ones he wanted for us. None of us around the table had heard or seen this brand before – Pete Evans appears on the back of the packaging which we all found amusing. The Coconut Water is actually one of the better ones I have tried and kept the authentic coconut water flavours vibrant. For the first course we were served Palm Sugar Cured Atlantic Salmon with Fried Kumara, Petit Herb Salad. The dish was impeccably presented – the palm sugar cured atlantic salmon acting as the base of the dish, topped with fried kumara and finished with the petit herb salad (which included avocado and tomato). The salmon was fresh and cured to perfection with the palm sugar enhancing the flavour thanks to its sweetness. I loved the crunch of the fried kumara as well as its distinct flavour. The petit herb salad really brought the dish together for one flavour explosion in your mouth. Delicious! The next course was the Mud Crab Coconut Salad with Chilli Lime Dressing, Crispy Rice Crackers. We were told the way to eat this dish was to serve some of the crab onto the crispy rice crackers and eat them together in one go. Doing this gives you the element of crunch followed swiftly with a burst of distinct flavours – creamy coconut, sultry crab and ending with the hit of chilli. I am a huge of anything to do with crab so this dish was delicious – my only thought was that the coconut flavour somewhat overpowered the uniqueness of the crab. To finish James prepared a Lacquered Soy Duck with Shitake, Chong Fun Rice Noodles, Truffle Oil. As I do not eat duck I only had the Chong Fun Rice Noodles, Truffle Oil and Shitake. I adored the presentation that James did with my dish. He piled the noodles together – they were rolled into small cylinders, poured the soy reduction over the noodles and finished this with the shitake and herbs. I have never eaten these type of noodles before but quite enjoyed the flavours – the saltiness of the soy reduction paired with the rustic flavours of the shitake and the smoothness of the noodles worked well together. The duck was a clear hit with the other bloggers – who even went in for seconds. They were surprised at how tender the duck was and the flavouring of the sauce on the side was something they all loved. 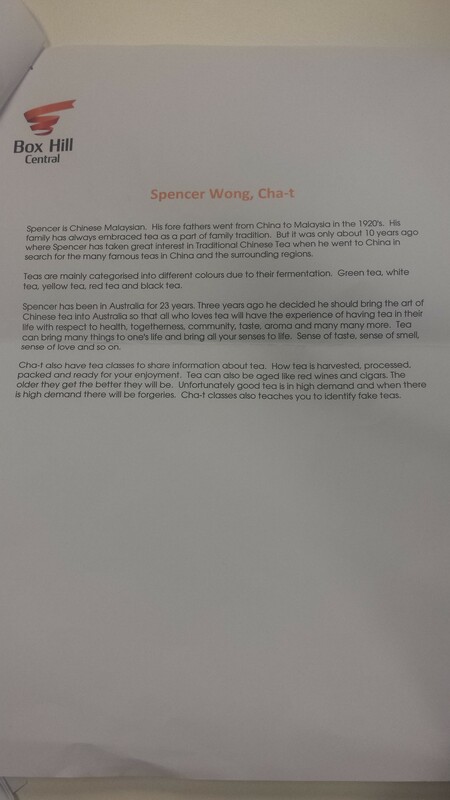 Next up was a chance to experience an authentic Chinese Tea Ceremony from Spencer Wong at Cha-t. Refer to the section below to learn more about Spencer. The front window of Cha-t is visually stunning itself – a round wooden circular shelf with tiny compartments which are filled with paraphernalia relating to Chinese tea such as claypots, incense holders and dainty tea cups – but once you step inside – you truly feel like you are transported to the world of tea. There intricately detailed wooden furnished together with chairs that have been carved from roots of trees. It really is a place that you need to visit to capture its beauty. 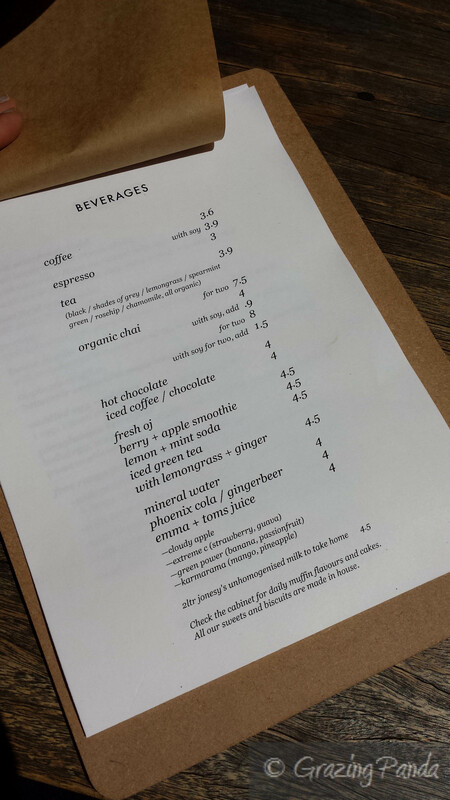 Cha-t is all about the teas – with the menu only listing a variety of teas – from Pu-erh / Pu-er Tea to Medicinal Teas. Cha-t is all about appreciation of Chinese tea as well as Chinese culture and really is a one stop shop of its kind here in Melbourne. It is quite common to find many of these types of shops in China – as their favourite past times is to drink tea all day. Spencer seats us around a wooden table that has been especially made for tea ceremonies. It is equipped with all the utensils and pots required to carry out a tea ceremony, including a section that places filtered water into a pot and warms the water to correct temperature required. I was even amazed at just watching the water being warmed and the main ceremony hadn’t even started! The table had holes which allowed for the excess water to travel through and be collected under the table – genius. Spencer starts by telling us the background and history of the tea and tells us the different types of teas that we will be trying today. We start off with Pu-erh Tea which is a variety of fermented dark tea produced in the Yunnan province in China. Pu-erh Tea starts off as a Camilla Plant first and for the next 1 to 5 years becomes a greeny yellowy colour, then from 5 to 15 years changes to a red colour and after about 50 years it becomes the black tea that we would be drinking today. The tea that we would be trying is a 1989 tea!!! Spencer tells us that all you need for a good cup of tea is around 7-8 grams of tea – which he measures out using a scale. He places the tea into a bowl like cup and pours the hot water (90 degrees) onto it. Once this brews for a bit he pours the tea into a beaker. He tells us that the first two brews are to wake up the tea and hence the flavouring is always light. It also serves as a double purpose to warm the tea cups that you use to drink the tea in. We all cannot wait to taste the tea – we are served in small glass cups and are told by Spencer how to drink the tea. You are meant to slurp in a sip and then savour the flavour between sips – certain teas give out flavours that you can feel at the back of your throat. The initial 2 brews are light, but as the brews get higher – the strength increases. The tea is warming and uniquely flavoured. The next tea that we try is from 1984 and the 7g of tea that we all share is worth $400!!! This means that a kilogram will cost around $57K! Who would have ever thought that tea would be worth that much money! For this tea Spencer once again measure 7g of the tea and places it into a specially made purple sand pot. He tells us that these containers can cost up to 1 million dollars (!!!) – the cost is dependent on the level of the masters that are creating the containers. For example if they are Level 2 masters the cost of the containers (depending on the size and the type) that they make could be worth up to $100K with Level 1 masters containers being worth up to $1 Million. The small pot that he is using today is worth $500. Once the water has boiled – to 100 degrees – Spencer pours the water into the pot and allows the tea to brew. Spencer carefully pours water over the pot to warm the tea and then swills the inside. When we were served the tea you could tell why it was worth the $400! The flavour was light initially and left a honey after taste. Another key to identifying great quality tea is that the smell that it leaves on the cup – it smelt of fresh honey and did so for a long period of time! Lower quality teas would have the smell of the actual cup or the remnants of your saliva. We had about 4 rounds of this tea and each time the flavour intensified but the honey after taste still remained in the same intensity. Beautiful. Spencer also showed us the incense and how he prepares the incense – the incense helps to create the atmosphere and further enhances the tea experience. The smells were strong yet calming. The process – as with the serving of tea – is a very intricate, careful and detailed process. I love the dedication and passion! Spencer also showed us some other tricks – like frogs that we thought were just ornaments – were in fact not just ornaments. If you place hot water over the frog – it squirts out the water – a nice party trick! Cha-t also specialises in cigars (although they are not visibly in sight and you cannot smoke them in store) which range from Bolivar to Cuban Sancho Panz. There is also quite the variety of top shelf whiskeys on display. There are also some snack type foods available such as sun dried mango, sour plums, seaweed etc. Cha-t is opening soon in Bourke St in the Melbourne CBD and also run various tea appreciation classes for those interested in learning more about tea and its rich history. The entire day was a brilliant experience that you wouldn’t normally get to go through – from the personal tour from James of Box Hill Central to the intimate and eye opening tea ceremony. I would definitely encourage you all to check out Cha-t and experience the tea ceremony – it feels like a little bit of China right here in Melbourne. 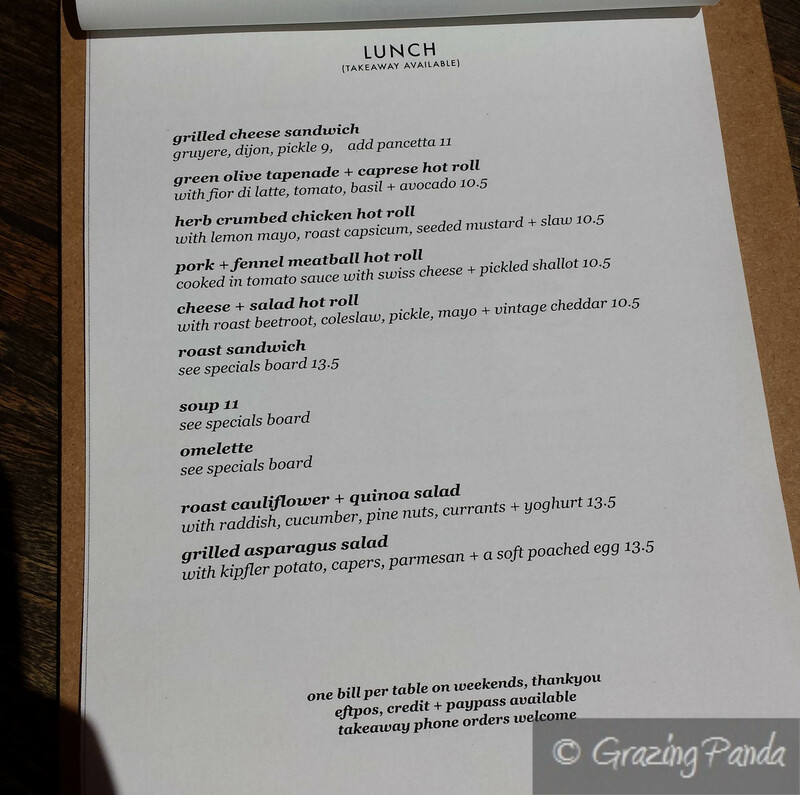 Disclaimer: Grazing Panda was invited to Box Hill Central as a guest, however, opinions expressed here are purely my own and not influenced by them in any way. N and I were heading out to breakkie on a Saturday morning and decided to try out Mixed Business. This cute café is located in Clifton Hill (neighbouring Northcote) and comes to you by Lauren Bieber and Tom Crowe. The look and feel of the place is casual and relaxed thanks to the light and airiness nature of the venue, complete with an outside sitting area amongst the back garden. There is a combination of vintage and retro touches throughout the venue which includes old tea towels used as curtains over cupboards, wooden tables with mismatched colourful chairs as well as the feature piece which is huge workbench which doubles as the coffee counter, cake serving area and payment station. There are also old school vintage signs which are attached to the walls. It really does pay homage to the venue’s former life of a second hand furniture store. It was a typical Melbourne day – rain one minute, sunshine the next. When we walked in the place was quite busy so we were offered a table in the back garden and the friendly waitress told us that it was under cover if that Melbournian rain happened to come back. Sitting in the back amongst the pot plants, trees and herbs was really pleasant and I feel like this is one of the best tables at the venue. You get to enjoy the brightness and be surrounded like you are in your very own back garden – even on a rainy day! The centrepiece of the table would automatically brighten anyone spirits – it was a colourful duck shaper pot holder which house a striking cactus. Really cute and chirpy – I want one for my place! Once we were seated we ordered our coffees and proceeded to look at the menu. I already had decided that I wanted something sweet so reading the description of the waffles had me sold. 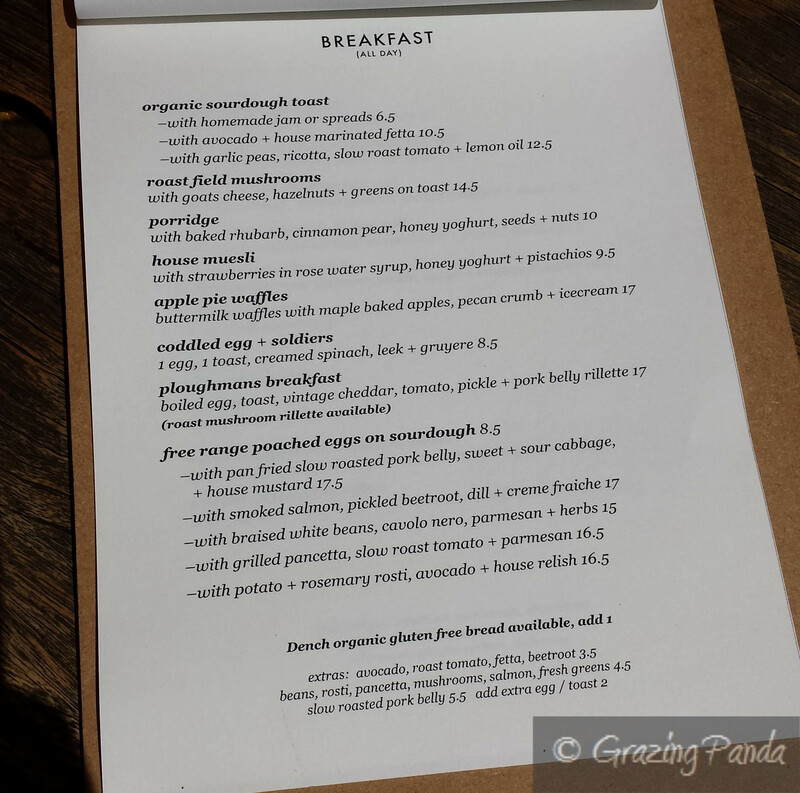 I like how they have a selection of combinations that can come with the free range poached eggs such as pork belly and sausage, potato and rosemary rosti or smoked salmon, pickled beetroot, dill and creme fraiche. Most places just pick one or two selections that come with poached eggs. The coffee by Seven Seeds was delicious and was a welcome necessity for this morning. When my waffles came out they looked delicious and I could barely spend enough time photographing them as I wanted to devour them straight away. They looked fresh and the aroma was enticing. There were three pieces of waffles arranged at the bottom and topped with the apple, blueberries and pecan crumb with the ice cream off to the side. The pecan crumb was absolutely delicious and the coating literally melted in your mouth. The combination of the warm waffles coupled with the spiced apple and cold ice cream was fantastic. Definitely a dish I would recommend. From the other dishes that were ordered I got to try out the potato and rosemary rosti and the picked cabbage. The potato and rosemary rosti tasted even better than it looked – when it came out it looked glossy, crispy and accented with the perfect amount of rosemary – it was delicious, crispy on the outside and soft and aromatic on the inside. The house made relish had a smoky and spicy hit to it as well and was quite nice. The pickled cabbage was another win – don’t let the bright pink colour put you off – the flavour is amazing. It’s not always simply about the great food and customer service, but the little additional touches – like the colourful duck pot holder – and the simplicity of the back garden seating that truly do make the experience at a place not only memorable, but recommendable. Mixed Business is definitely one of these places. Atmosphere / Ambience: Casual, Relaxed and Welcoming – great chill out place! Service: Friendly and Helpful – although we never did get asked if we wanted another round of coffee after we had finished our first coffee’s.